This is an open appeal for Arkansas Governor Hutchinson to call for a moratorium on fluoridation/Act 197 of 2011. Wake up, everyone! Do your own research on fluoridation, seek the truth, weigh the facts, follow the money, and find out what’s really true before it’s too late and nothing can be done regarding this toxic poison. Read the entire article to see what key actors/players were already in position when the Arkansas fluoride mandate went down in 2011! YES, we know it’s lengthy — it’s 27 pages — but we’ve included several corporation filings which are important for you to read. Secure Arkansas is known for standing up for the freedoms of Arkansans and asking tough questions. Therefore, we question the Community Health Centers of Arkansas’ (CHCA) organization and makeup. When we look into the actual players at the time of the fluoridation mandate, it causes us to cringe. It looks like Lynn Mouden, DDS, now the Chief Dental Officer at U.S. Centers for Medicare and Medicaid Services (CMS), could have used his wife’s position at the time to influence many of our medical professionals — and not just in Arkansas but in many other states, too! Check out a couple of the past articles from Secure Arkansas on CMS’ Lynn Mouden and get the complete history of this fluoridation debacle at SecureArkansas.com here and also here. The Arkansas Department of Health (ADH) is the overseer of the funds that are available and are distributed under the Arkansas Community Health Centers Grant Program (CHCP), and ADH offers funding to support Community Health Centers. The anticipated funds available for CHCP is $4,934,999.96 annually. This figure came from a December 18, 2014 report from ADH. To see a recent copy of an Secure Arkansas FOIA sent to the Arkansas Department of Health (ADH) on January 6, 2016, click here. ADH stated in a paper that they put out in 2001 that they were seeking to establish Hometown Health Coalitions in all 75 counties in Arkansas. They now have 86_ADH_Hometown Health_Improvement_Coalitions in Arkansas' 75 counties. 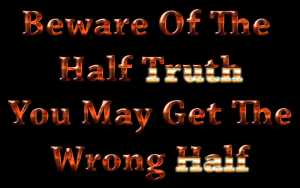 These coalitions are used to help spread ADH’s half-truths to the public. This is all with the assistance of Dr. Lynn Mouden’s wife, Sip Mouden, who was the Chief Executive Officer of Community Health Centers of Arkansas until September 2014. (The current CEO is Mary Leath.) Most of ADH’s information is coming the Centers for Disease Control and Prevention (CDC) and is influenced by dentists. “Fluoride Gate” deepens with the release of 2000 pages of FOIA Documents. There are some strange things going on with Perry County Hometown Health Advocate Team (HHAT) coalition. The paper Conway/ Perry County Coalition circulated by ADH states that Perry County HHAT is to maintain a 501(c)3 status. However, in checking with the Arkansas Secretary of State (SOS), we find that this is NOT true. The Arkansas SOS cannot find proof that Perry County HHAT coalition is registered with the SOS. A telephone number for the Perry County HHAT Coalition is listed as 501-889-5105 for Christy Campbell. When you call that number, it rings the Perry County Department of Human Service. We called that number and were directed to extension 121… but received no response. We did leave a call back number, but still had no luck. We will keep trying until we get through. Of the other 85 Hometown Health Advocate Team Coalitions in Arkansas, the same thing exists: No Record with the Arkansas SOS. To do your own search click here. A search can be done by entering any part of the corporation name in the box titled “Enter Either Name” and selecting the Search button on the bottom of the screen. Christy Campbell is the Registered Agent of Childers Management, Inc. This corporation is For Profit with the following fictitious names: Campbell Air, Inc; County Drug; Healthwatch Consultants; Lowery Drug Mart No.1; and Lowery Drug Mart No.2. It seems that many involved in the healthcare movement wants to get their piece of the pie. Click here to see from where some of the proposed federal and/or state grants are coming and the amounts. This involves Arkansas AND Missouri. Attorney Paul Beeber stated that CDC can not be trusted in their fluoride endorsement because there is NO science to support it. Fluoride supplements have NOT been found by FDA to be safe or effective according to the U.S. National Library of Medicine. Click here for the source. Read this entire article and you will see the connection between former ADH Oral Health Director Dr. Lynn Douglas Mouden and the CEO of Community Health Centers of Arkansas Sip B. Mouden (wife of Dr. Lynn Douglas Mouden). The fox is in the hen house! Remember that the Community Health Centers of Arkansas also handle both healthcare AND dental services. This system is set-up to reward those who will tow the mark. The so-called study/survey that was done in January 2002 by the Arkansas Office of Oral Health Dr. Lynn Mouden and UAMS’ Ms. Rhonda Sledge, RDH, in the communities of Perryville and Morrilton, Arkansas appears to be fabricated. Secure Arkansas made a request to ADH via the Freedom of Information ACT (FOIA) for the raw data that was used for the survey, but we have been told that this information does not exist and/or is no longer available. The questions you have to ask yourself are: why is this very important raw data information missing? Could it be that a real scientific survey was never done? Dr. Lynn Mouden was the Director of ADH Office of Oral Health (OOH) and the Director of Delta Dental of Arkansas Foundation in 2011 at the same time that Arkansas’ SB359/Act197 toxic fluoride mandate was passed. Long before SB359/Act197 passed, OOH devoted much of its resources to the promotion of fluoridation of public water systems. The Arkansas Department of Health (ADH) partnered with Delta Dental and the University of Arkansas for Medical Sciences (UAMS). That was Lynn Mouden’s own admission of how he worked his way to the top! The above quote came from an article that Lynn Mouden wrote himself. (A little side note: the cover of the Arkansas Dentistry publication has a picture of Jonesboro Mayor Harold Perrin and his wife, Susan Perrin. Jonesboro Mayor Harold Perrin is also a Director of Delta Dental Plan of Arkansas. Mayor Perrin is the Registered Agent and President of Professional Management Consultants. Perrin’s wife is the Vice President. Jonesboro Mayor Perrin is also the Registered Agent of United Way of Jackson County, Inc. The Mayor is also the Registered Agent of White River Heritage Centers. The 990 IRS Filing for 2013 shows that Mayor Perrin received $13,000 compensation for his position as Director in 2013. Mayor Perrin has been an officer with Delta Dental since at least 2003. This is another one of those big players on whom you need to keep your eye. 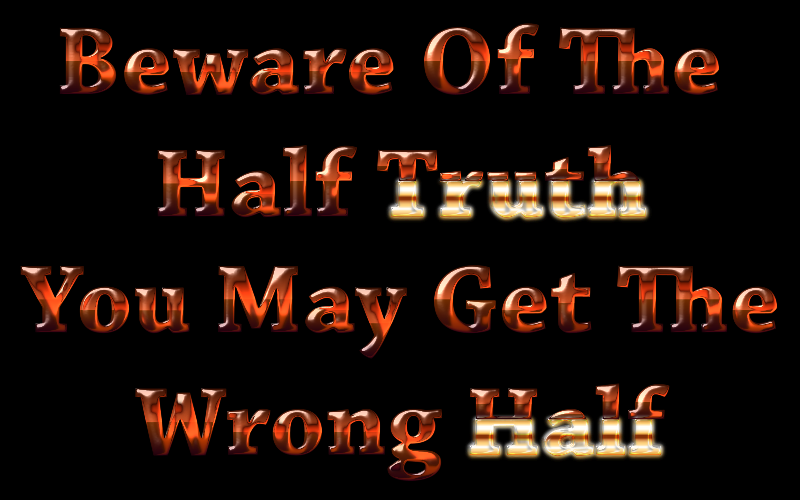 Click here to read a past article we’ve written that includes information about Mayor Perrin, Delta Dental, and their money-making web of deceit. Ms. Rhonda Sledge, RDH, Associate Professor of Dental Hygiene from UAMS, worked with Dr. Lynn Mouden on the so-called fluoride study in which the ADH can’t produce the raw data or other material requested in an FOIA request of the ADH. At this same time, Delta Dental of Arkansas Foundation provided a $150,000 grant to UAMS. Rhonda is also a member of the Arkansas State Dental Hygienists’ Association (ASDHA) where she is chair of the ASDHA Regulation & Practice committee. Sip B. Mouden (bio) was the Chief Executive Officer (CEO) of Community Health Centers of Arkansas. (Be sure to click that link.) until September 2014. Remember that Sip Mouden is the wife of Lynn Mouden, and you can view their marriage license here). Lynn Mouden was Director of Arkansas Oral Health at the time SB359 was passed by the Arkansas legislators. The Community Health Centers of Arkansas have 12 PCA Member Community Health Centers under them. These 12 Community Health Centers are listed below along with a link to their 990 IRS tax filing. The CHCA and the 12 entities under it were set up by Act 180 and Act 1386 so as be able to accept government grants. The CHCA and the 12 entities are all set up as 501(c)3 tax exempt organizations. We found that Sip Mouden is also known as Mary Sipple Frasier, Sip B. Frasier, and Mary Sipple Mouden. picture source picture "sip mouden"
Sip Mouden is a member of the National Association of Community Health Centers. Sip Mouden is a board member of Foundation for the Mid South. Sip Mouden is also a Arkansas lobbyist. In her 2nd Quarter 2011 Lobbyist Activity Report, Sip Mouden listed an award plaque that she gave to Arkansas Senator David Johnson 6-14-11, a key sponsor of SB359 fluoride mandate bill. M. Sip Frasier is the Registered Agent of Clinical Integrated Support Services & Solutions, Inc. M. Sip Frasier is the same person that is married to Dr. Lynn Mouden. (Link to the 2003 Legislative Agenda for Sip Frasier’s (now Mouden’s wife) presentation before the House Committee on Public Health, Welfare and Labor on February 4, 2003 on Community Health Centers. Sip Frasier is the Registered Agent of Clinical Integrated Support Services & Solutions, Inc. (This is Sip Mouden.) Why is Sip using two different last names in item 5 and 6? Sip Mouden is the owner and Registered Agent of S M Healthcare Consulting, LLC. Sip Mouden was appointed on July 24, 2012 by Gov. Mike Beebe to the Health Information Exchange Council (HIE Council) The HIE Council serves as an advisory body to the Office of Health Information Technology, the State HIT Coordinator, the Governor and monitors the operation and performance of SHARE. The Council is made up of public and private stakeholders representing the Arkansas health care community. Sip B. Mouden, CEO of Community Health Centers of Arkansas, Inc., Arkansas Primary Care Association, which represents 12 Federally Qualified Health Centers and their 75 health centers that serve the medically underserved. Received greater than $12,500. This article is very lengthy because we’ve included several Corporation Filings. Hang in there! CLINICAL INTEGRATED SUPPORT SERVICES & SOLUTIONS, INC. In case you weren’t aware, the Delta Dental Plan of Arkansas is the vehicle that is used to fund Delta Dental Foundation of Arkansas. These funds appear to be excess profits from Delta Dental Plan. It also appears that Delta Dental Plan is charging excess premiums in order to fund Delta Dental Foundation. Delta Dental Foundation provides the grant money for the startup costs for all fluoridation installation. The Arkansas Community Health Centers Program (CHCP) is funded by Act 1386 of 2009 and Act 180 of 2009, Tobacco Excise Tax Act. The goal of the Community Health Centers Program (CHCP) is to increase direct services to uninsured, under-insured, and underserved Arkansans, and thus: (1) increase access to healthcare, (2) improve quality of care and health outcomes, and (3) promote cost-effectiveness. These funds are intended for increasing delivery of direct services to patients of Community Health Centers (CHC), preserving and strengthening Arkansas’ 12 Community Health Centers and increasing Arkansans’ access to quality primary and preventive health care. Eligible applicants to this program are all Arkansas Community Health Centers that currently receive federal funds via the U.S. Public Health Services Act, Section 330 as of May 1, 2009. HB1288/ACT1386 was sponsored by the Joint Budget Committee and was passed on 4/6/2009. This bill provided funding to Community Health Centers. HB1288 passed in the Senate with 35 Yeas, 0 Nays, and 0 Non Voting. HB 1288 passed in the House with 95 Yeas, 0 Nays, and 5 Non Voting. HB1204/ACT180 was sponsored by Representatives Reep, Wills, Shelby, Everett, Allen, T. Baker, J. Brown, Carroll, Cheatham, Cook, J.Edwards, Gaskill, R. Green, Harrelson, House, Hyde, Lindsey, Maloch, Maxwell, Moore, Pennartz, Powers, Rainey, J. Roebuck, L. Smith, Tyler, Webb, Wells, McCrary, Patterson, Blount, Pierce, Dunn, Abernathy, Saunders and By: Senators Steele, J. Jeffress and was passed on 2/9/2009. This bill increased the tax on cigarettes and other tobacco products. HB1204 passed in the Senate with 28 Yeas, 7 Nays, and 0 Non Voting. HB 1204 passed in the House with 75 Yeas, 24 Nays, and 1 Non Voting. There needs to be reform taken on this system. Million of taxpayers dollars are wasted on the Community Health Centers of Arkansas and the 12 separate Community Health Centers every year. The Arkansas Charitable Clinics Grant Program is funded by Act 180 of 2009, Tobacco Excise Tax Act. The intention of the Program is to strengthen healthcare systems and services at the local level for Charitable Clinics, thereby increasing the number of Arkansans receiving health care services. The intent of the legislation is to provide the Arkansas Department of Health with resources to assist Charitable Clinics in providing basic primary care, dental and behavioral health services for free or at low cost to those persons unable to pay for medical care. Charitable Clinics that are located in Arkansas are eligible to submit applications under this program. Under the Arkansas Community Health Centers Program, the Community Health Centers of Arkansas (CHCA) are funded which consist of 12 separate organization. The CHCA is governed by a board of directors composed of one director from each organizational member of CHCA. The following twelve health care centers come under the control of Community Health Center of which Sip B. Mouden is the Chief Executive Officer. The information below on the Community Health Centers of Arkansas and the other twelve Health Care Centers came from the Arkansas Secretary of State. Please note all the fictitious names to hide their identity. Sip B. Mouden, Chief Executive Officer, total compensation was $118,489.00 in 2013. Lisa Weaver, Chief Development Officer total compensation was $75,633.00 in 2013. Dr. Steven F. Collier, M.D., is a Director of Community Health Centers of Arkansas (CHCA) and also the CEO and Registered Agent of ARcare from whence his compensation comes which was $586,728.00 in 2013. That’s almost 600 THOUSAND DOLLARS! Sid Mouden Ex Officio Chief Executive Officer of Community Health Centers of Arkansas, Inc.
Brigitte McDonald, Treasure/Executive Director of 1st Choice HealthCare, Inc.
Larnell Davis Executive Director of Jefferson Comprehensive Care System, Inc.
Melanie Campbell Executive Director of Boston Mountain Rural Health Center, Inc.
Melanie Sheppard Executive Director of Cabun Rural Health Services, Inc.
Susan Ward Jones, MD Chief Executive Officer of East Arkansas Family Health Center, Inc.
Tony Calando Chief Executive Officer of Healthy Connections, Inc.
COMMUNITY HEALTH CENTERS OF ARKANSAS, INC.
SIP MOUDEN, Principal and Chief Executive Officer, is also the wife of Dr. Lynn Mouden, the former Director of Oral Health of ADH. The following is lifted from the IRS 990 2013 filing that lists the compensation of officers. BOSTON MOUNTAIN RURAL HEALTH CENTER, INC.
ST. FRANCIS HOUSE NWA, INC.
River Valley Primary Care Services, Inc. Your friends and family may also sign up to receive our Action Alerts by clicking here. 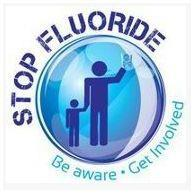 Local control of water and our freedom from fluoride poison are important! As always, you can find our email articles posted on our website: SecureArkansas.com. The Search box is a handy tool. For more information about FLUORIDE, just type it into the Search box on our website, and click Enter!